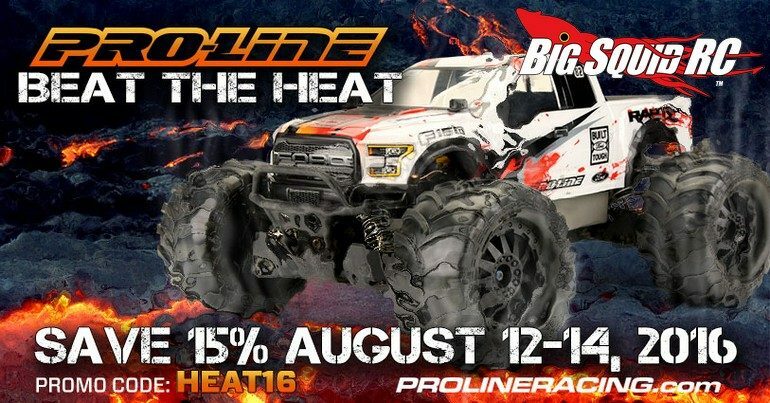 Pro-Line “Beat The Heat” Promotion « Big Squid RC – RC Car and Truck News, Reviews, Videos, and More! Is your body destroyed? Are your tires bald? When you bash hard, broken bodies and worn out tires are just a fact of life. Just announced by Pro-Line is a Summer promotion called Beat The Heat. The promo allows you to save 15% off your order, now through August 14th. If you are looking to freshen up your rig, hit up This Link on Pro-Line’s website for full details on their 15% off promo. Catch Some Air with this TGIF Mystery Link.